HyperX® Predator PCIe SSD offers large capacities and incredible speeds with both compressible and incompressible data to take your system to the edge. 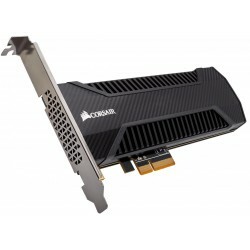 Faster than SATA-based SSDs, its powered by a Marvell controller and delivers speeds of up to 1400MB/s read and 1000MB/s write for ultra-responsive multitasking and an overall faster system, and its available in 240GB960GB capacities. It features a PCIe Gen 2.0 x4 interface for high performance and an M.2 form factor to fit the next generation of desktops with an M.2 PCIe slot. Its HHHL adapter comes with both standard and low-profile brackets and fits in slim-profile desktop builds. HyperX Predator PCIe SSD delivers top-of-the-line performance to match high-performance HyperX memory for consistent branding to keep you at the top of your game.